Brokers should warn clients of the potential pitfalls of mortgage life insurance, following one big bank’s negative press surrounding a claim denial. Recently deceased Christopher Massa, whose mortgage and mortgage life insurance was with Scotiabank was diagnosed with lung cancer in October. The bank denied the claim on his $289,000 mortgage, according to the Toronto Star. Scotiabank offers mortgage protection life insurance based on the age of the purchaser and the balance of the mortgage at time of purchase. Prices range from $0.09 per $1,000 of mortgage amount for someone aged 18-30 and $1.64 per $1,000 for purchasers aged 66-69. According to Scotiabank’s website, approval for their bundled life insurance is a simple yes or no question. The insurance, which differs from traditional life insurance, is meant to act as a safeguard that will take care of an outstanding mortgage in case of death. The bank claims Massa filled out the questionnaire incorrectly and ended up paying his widow $5,000 according to the Star. Interesting. The CIBC also denied the claim of one of my clients. This Italian Immigrant struggled a little with the English language so he checked one question yes then scribbled it out and checked no. 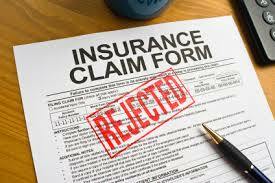 The bank's insurer ruled that since he had effectively answered yes and no the claim was denied. These insurance questions seem not to be well explained by bank mortgage staff and I'm not sure why. However, I now strongly suggest my clients talk to an Insurance Broker prior to making a decision on mortgage life insurance. Terrible time to find out someone is not covered...but a risk with any "mortgage insurance" that is basically underwritten/investigated at the time of claim. This is why I refer my all my clients to a Financial planner/Insurance Professional I trust & work closely with instead of just offering "mortgage insurance". Banks don't seem to be held to the same standard as mortgage brokers---our rules are very clear & the paperwork goes thru audit before I can receive my commissions on a file.